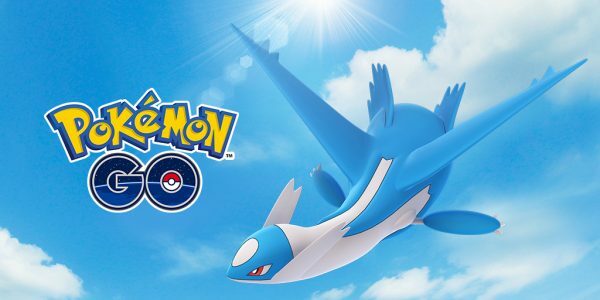 Pokemon Go players can participate in a Special Raid Week featuring Eon Pokemon Latios. The event kicks off on Monday, April 15. If you missed battling the Legendary Pokemon previously, Latios is back for an entire week. Hopefully you were able to take down his counterpart, Latias, back in February. While the Dragon-psychic types are similar, Latios has higher offensive stats. If you decide to challenge the creature, use a Bug, Dark, Dragon, Ghost, Ice, or Fairy-type Pokemon. Check out Alex’s Pokemon Go guide to beating Latios at the link. Latios will appear at random in raids during the dates and times below. Niantic Labs said you may even encounter a Shiny Latios – if you’re lucky – so get out there and raid, Trainers. Don’t forget: Legendary Lunch Hour returns tomorrow with an increased number of five-star raids featuring Origin Forme Giratina.